Radhanath Swami described this sweet pastime of Hau-Bilau while giving a talk in Nandagaon. The story goes as follows: One day, Krishna and Balaram were playing in this place near Yashoda kund with Their friends, but it was time for them to come home to take Their lunch and mother Yashoda sent Rohini, “You go to get Krishna and Balaram”. Rohini came and she said, “Krishna, Balaram, please come home. Your lunch is waiting for You. Nanda Maharaj is also waiting for You.” But They were so busy playing, having so much fun with Their friends that They ignored mother Rohini. So she went and told Yashodamayi that They will not come. So Yashodamayi came and she began to very strictly order Krishna, “You come back”. But Krishna’s friends told Him “If You go we will not play with You tomorrow, because You will ruin our game if You go in the middle.” So Krishna, afraid of being banned from the play, continued playing, and mother Yashoda was pleading with Krishna and chastising Krishna. But Krishna and Balaram just kept playing. And finally mother Yashoda was thinking, “What should I do? He will be hungry. I cannot allow Krishna and Balaram to be hungry. It is not good for Their health.” So she began to think. Then she got an idea. She said, “Krishna-Balaram, You better come right now, because the Hau-Bilau is coming”. Krishna and Balaram said, “What is Hau-Bilau?” She said, “He is coming. He is coming, lets go.” They again asked, “What is this ‘Hau-Bilau’?” Yashoda replied with a huff, “Hmm… ‘Hau-Bilau’ walks on four legs and has very, very fierce eyes and big, big mouth and sharp, sharp teeth and he eats little children, and he is coming”. Then Krishna-Balaram looked at her and said, “We do not believe in “Hau-Bilaus”. There is no such thing.” And then mother Yashoda, she looked behind Krishna and Balaram from where they were standing and she said, “Here he is, the “Hau-Bilau” has come ahhh!! !” And then with big eyes she started running away as fast as possible. And when Krishna and Balaram saw this they were afraid to even look back. They immediately let out and scream and said, “Mother wait for us.” They started running full speed ahead and mother Yashoda ran all the way back to Nanda Bhavan and Krishna and Balaram ran and ran as fast as they could. 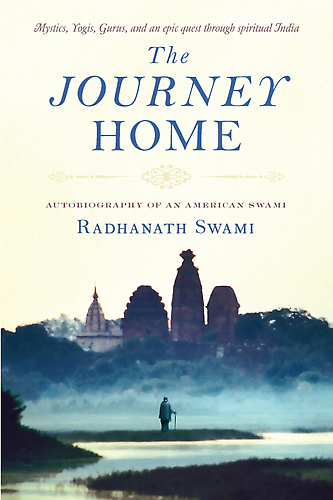 They were afraid to even look back, and then They came into the house, and Yashodamayi had nice prasad ready for Them and They sat next to Nanda Maharaj. And Krishna and Balaram were telling Nanda Maharaj, “You should have seen this Hau-Bilau. He had big fiery eyes, and long teeth and big mouth and fur all over him, but We escaped. Somehow or other We ran so fast, We got away.” and Nanda Maharaj was very happy. So in this way mother Yashoda with her loving parental affection performed so many pastimes for the pleasure of Krishna and Balaram. It is also said, that after mother Yashoda saw that this pastime worked very good, she made these Murtis of Hau-Bilau. And when Krishna and Balaram would be naughty, she would say, “Beware, I will take you to Hau-Bilau”. So they would become very nice. So, even the Supreme Personality of Godhead, Krishna and Balaram fear Hau-Bilau! This is the sweetness of the Leela of Shri Vraja Dham.